We are a leading Manufacturer of slat expander roller, polyband expander rollers, aluminum slat expander roller and metal expander roller from Ahmedabad, India. It is used for wrinkle removing on coating machines which is available in any length and standard diameter. Bigger diameter can be made as per specific requirements. Normally plain surface is provided but some applications serration is required on the surface for gripping. While ordering should provide the application temperature, web material, plain or serration required on the surface, the maximum speed of web material to meet all your requirements. For soundless working, the rolls are also available with ball bearing type cam mechanism also. The normal expansion is 25mm. Polyband expanders contain the advantages of the bow-adjustable expander rollers and the slat expanders. Very elastic poly bands are uniformly distributed around the circumference and guided in axial profile grooves. Due to the stretching characteristics of this special poly band a crease-free expansion over the entire web is attained. Polyband expanders are especially used for delicate materials such as very thin film but also in the paper, nonwovens and textile industry. Our company is highly advanced in the manufacturing of Aluminum Salt Expander Rollers in vast range. Our Aluminum Slat expanders are used for wrinkle removing on coating machines which is available in any length and standard diameter 6â€. Bigger diameter can be made as per specific requirements. Normally plain surface is provided but some applications serration is required on surface for gripping. While ordering should provide the application temperature, web material, plain or serration required on surface, maximum speed of web material to meet all your requirements. 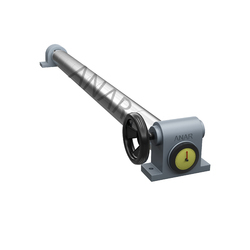 For soundless working the rolls are also available with ball bearing type cam mechanism also. Normal expansion is 25mm. Anar Rub tech manufacturing of wide range of Industrial Metal Expanders to our customers as per their demand. These metal expanders are very superior in their quality that is why they are highly demanded these days. The performance rates of these products are very high and also have long life. These products are available at different shapes, lengths and diameters in the market. Such very kinds of products are durable in their nature and provide better efficiency. 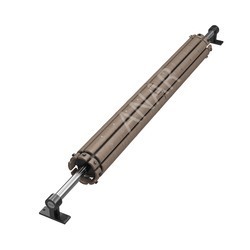 Metal expander roll having hard chrome surface which is suitable for high speed applications for Paper industries, particularly for slitter re-winders, Calendars, Poop Reels, M.G cylinders. On high speed machines it not wear & tear so it commonly used in place of rubber bow roll. It is too heavy weight due its internal construction and require extra drives & pulleys to drive the roll. 3:1 lead in lead out ratio is considered to be best. However, lead out distance preferably should not to be more than 3 times of expander roller diameter. The best results are achieved when bow roller is perpendicular to the web direction.